Planning the Perfect Hawaii Vacation Just Became Easy! Aloha! 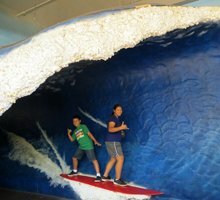 Welcome to Hawaii-Vacation-Fun.com, the most-complete collection of Hawaii tourism information that I know to exist in any one resource! (At least that’s the plan, since I’m still adding information.) My name is Jake, and I’ll be your guide to the best Hawaii vacation you could ever plan. Let’s face it… when you sit down to plan your family vacation in Hawaii, you’re looking for value. How much fun can you have and stay within budget? Can your Hawaii dream vacation also be an affordable Hawaii vacation? Great Hawaii vacations require the best Hawaii information. Many times, when I travel out-of-state or talk to somebody new to Hawaii, people ask me what there is to do here. Well I love Hawaii; and I love to share my knowledge about it. But I moved here in 1981, so all those years of adventuring quickly become a long conversation. That’s when I realized how hard it can be for people to find high-quality information for their Hawaii vacation plans; and it occurred to me that I should share my experiences on the internet for all to read. The information is free, so take as much as you need. I don’t work in the tourism industry. So I’m not trying to sell you on any activity. But I do like to live as if I’m on vacation. 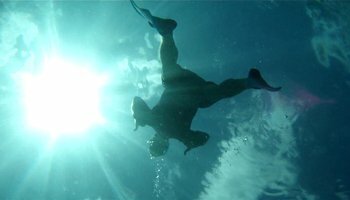 As a result, I have done and seen just about every fun or interesting activity on Oahu. And if I haven’t done it yet, it’s on my to-do list. Unfortunately for me (but fortunate for you), my daily life doesn’t have a vacation budget. So approximately 150 of these activities are free or practically free. And free fun is good fun! With the money you save by having fun for free, you can then round-out your Hawaiian vacation with any of several world-class travel experiences! After all, many Hawaii attractions are just plain worth paying for. I recently went looking for the lowest airfare rates available, and here’s what I found... I compared the costs for various dates from San Francisco (SFO), New York City (NYC) and Tokyo (TYO) round-trip to Honolulu (HNL). For almost every date/location variation I tried, the best rates were found on OneTravel (ad): "Domestic Travel Deals! Save up to $15◊ with Promo Code USA15. Book Now." Meanwhile, a very close second place for most date/location combinations (and best rate for the others) was found here (ad): Save on travel at CheapOair.com (links open a new window/tab). For every travel date/departure location combo I tested, both of these services offered significantly cheaper airfares than booking directly with the airlines – even on the same airlines in many cases! Or here's a couple more helpful resources I've recently discovered. Before you can board any flights to Hawaii, you may need to figure out your airport transportation situation. These can save you a small fortune on airport parking... If you just need to park your vehicle for the duration of your Hawaii vacation, try this (ad): Save On Airport Parking At Over 65 US Airports . They say they can save you up to 70%. Or, depending on your distance from the airport and the times of your flights, you might want to overnight in a hotel near your airport. If that’s your situation, this seems to be a fantastic deal (ad): Reserve Airport Hotel for One Night & Get Up To 21 Days of Parking for FREE! Also, since you’re planning a dream vacation, you might want to be prepared in case of bad luck… (ad) Let Travelex Insurance protect your trip investment starting at $20! 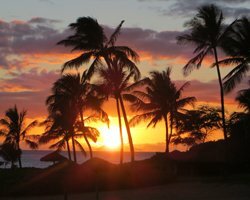 Beyond that, you can probably also benefit from some unbiased information and local perspective about other aspects of your Hawaii travel itinerary. Use the Oahu Tourism Info navigation links at the left to help you find the insight you need. 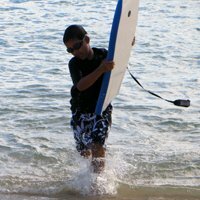 The first set of links focuses exclusively on FREE activities in Oahu Hawaii. 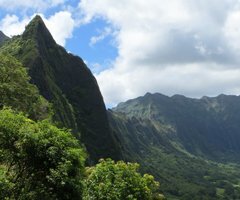 The second set of links features paid attractions and other Hawaii vacation resources you’ll want and need. 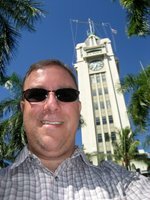 I live on Oahu and know more about it than any other Hawaiian island (even though I have traveled to all the other major islands multiple times). More people visit and live here than any other Hawaiian island. When people think about vacations to Hawaii, they’re usually thinking of Oahu. There is more of everything to do and see on Oahu. Please be aware that Hawaii-Vacation-Fun.com is a work in-progress. I’m re-visiting all of these attractions, gathering updated information, and taking current pictures (so you don't have to see family photos of me with my 1980's haircut and corduroy shorts)! Basically, I’m adding new information as I get it. And although I plan to build similar sites for the other major islands in Hawaii, I can’t do it all at once. So plan your Hawaii vacation on the island of Oahu; and check back in the future for your neighbor island adventures. 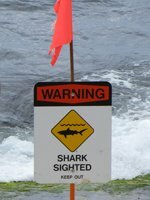 Or, if you're looking for neighbor island information right now, here's a resource to help get you started: Visiting Hawaii: The Definitive Guide (link opens a new window/tab). Update: I've completed almost 50-percent of my content outline for the island of Oahu. There's now a ton of information within these pages, and there's a whole lot more coming in the near future; so please check back frequently to see what’s new. Or just subscribe to my Hawaii Vacation Fun Blog by clicking any of the RSS buttons in the navigation bar at left. Then you'll be automatically updated every time new information is added. Disclaimer: None of the articles on this site should be considered a recommendation for or against any activity, attraction, or featured topic. I am only sharing my experiences and my opinions with you as a non official and non commercial local resident perspective that could be used to help you decide for yourself how you would like to enjoy your Hawaii vacation. In addition, none of the images on these pages are advertising anything shown in the images. I am merely sharing my photos with you as a visual representation of the kinds of sights you will see at the same locations/activities. Furthermore, none of the people shown in the images are endorsing anything on any of these pages. They were simply present at or participating in activities related to the featured topic of each page. By choosing to experience anything featured on any page of this site, you acknowledge that you make the choice of your own free will based on your own desires and your own assessment of your abilities. You agree that you are not a moron who is incapable of thinking for yourself. Therefore, you accept full responsibility for your choices. You acknowledge that living life every day in every location has a certain degree of risk and the possibility of unforeseen circumstances. You also acknowledge that your experiences are guaranteed to be different than mine in one way or another (possibly better, possibly worse, and definitely just a different point in time). You agree that it's not possible for two people to have exactly the same experience. Therefore, you realize that variations between your experience and mine are normal – not a negligent or willful attempt by me to mislead or withhold any critical information from you. If you agree to all of this, you’re ready to start having some fun. Let’s figure out what appeals to you.